1. Pour the Armagnac and diluted red fruit syrup into a saucepan, and macerate the grapes over a low heat for 15 minutes. They should keep their shape. Keep an eye on the cooking process and the grapes. 2. In a pre-heated pan, fry the slices of foie gras for two minutes on each side. They should keep their shape. Season. Remove the excess fat and pour into grape pan, then cook for another minute. Drain. 3. 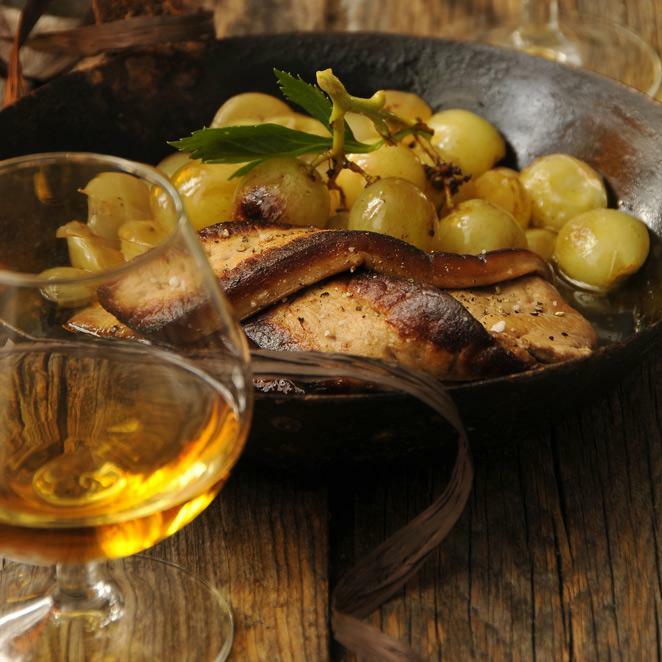 Pour a few drops of Armagnac over the foie gras slices. Serve on browned toast surrounded by grapes.